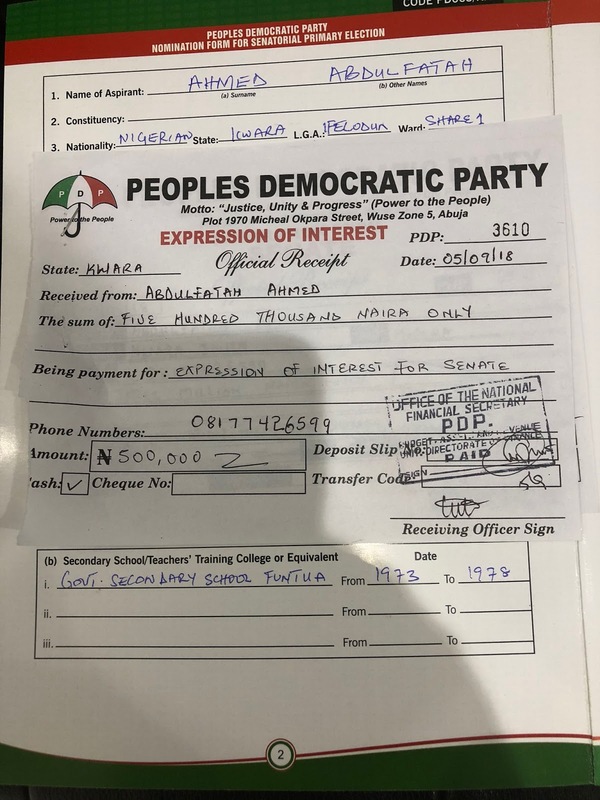 On the back of a largely successful tenure, Kwara State Governor, Alhaji Abdulfatah Ahmed has signaled his intention to vie for the Kwara South Senatorial Ticket on the platform of the People’s Democratic Party(PDP) in the forth coming general elections. 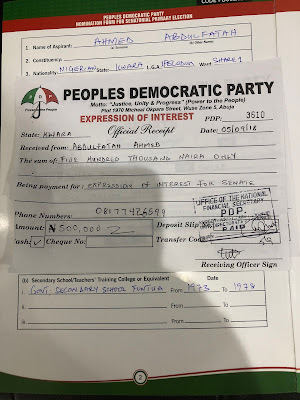 Governor Ahmed, who announced this via his twitter account on Saturday, said he had picked up the PDP Nomination Form for the Senatorial Primary Election. Ahead of the primaries, Governor Ahmed’s development strides across the stage, including the Kwara South Senatorial district, stand him in good stead with the people and have highly boosted his chances of clinching the ticket and winning the ticket in the 2019 general elections. His numerous accomplishments in the zone include the International Vocational Technical Entrepreneurship College, Ajase Ipo, the new Kwara State University Satellite Campus at Osi, as well as commendable strides in the roads, health, energy, water, education and informal sectors. Besides his sterling performance in office, Governor Ahmed is also a well-loved and popular figure across the state, especially in his home Senatorial district, Kwara South. Governor Ahmed has severally defended his recent movement to the PDP on the grounds that his former party limited access to platforms for securing benefits for the people of Kwara State as a whole. His Senatorial ambition is seen in the light of his strong determination to better represent his people, and provide inclusive leadership in Kwara South.